Call (800) 777-0202 or email us today to get a quote or request a sample of our Non-Slip Rubber Sheets. 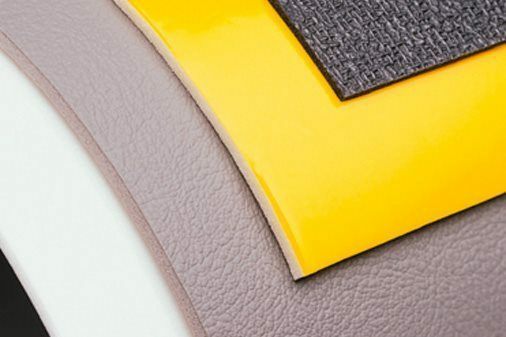 Find custom non-slip rubber sheets made from closed cell rubber, open cell sponge, neoprene, urethane, Volextra, 3M Safety Walk material, and more. Frank Lowe will die cut or kiss cut your non slip rubber sheets to meet your application needs. 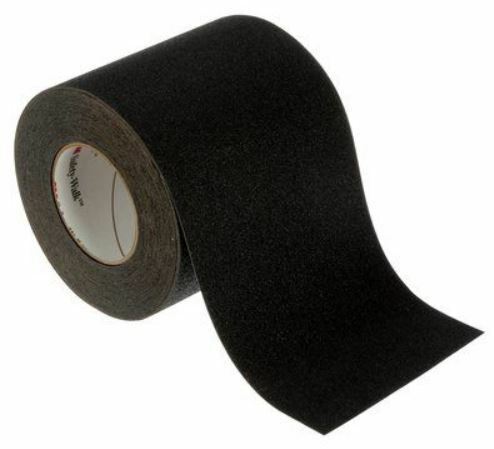 Frank Lowe offers a vast range of non-slip rubber sheets from a long list of elastomers. 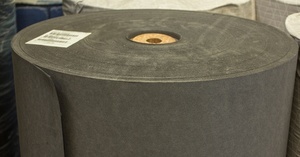 We can die cut or kiss cut any of our non-slip rubber sheets to your exact specifications. All of our non-slip rubber sheets can be laminated with our weather-resistant, pressure-sensitive adhesive to make application as simple as peel and stick. Because there are no one-size-fits-all solutions, the experts at Frank Lowe will listen to your application needs and guide you to the best non-slip rubber sheet material. Let's take a closer look at some of the most common types of non-slip rubber sheets we offer at Frank Lowe. Frank Lowe's closed cell non-slip rubber sheets offer a range of admirable qualities, such as the ability to resist air at low pressure as well as the ability to resist water, oil, and the flow of chemicals. It also offers outstanding resistance to extreme temperatures, UV, ozone, weathering, and more. Open cell sponge rubber sheets allow limited absorption and circulation of gases and fluids. However, the cellular structure of this material allows it to quickly rebound, which means it's excellent for shock absorption, cushioning, sound dampening, vibration dampening, and more. At Frank Lowe, we offer rubberized anti-skid, non-slip rubber sheets that can be made up of small to large abrasive particles. These particles are bonded by an extra tough, durable polymer to a dimensionally stable film. Our 3M Safety Walk rubberized sheets are relatively soft, slip resistant, and exceptionally resilient. Thanks to a water-resistant and chemical-resistant, pressure-sensitive adhesive, 3M Safety Walk anti-skid rubber sheets are easy to install. The versatile pressure-sensitive adhesive allows the rubber sheets to stick to virtually any surface and will be protected by a removable liner. Since 1955, Frank Lowe has provided one-of-a-kind custom manufacturing solutions to help you enhance and improve your products as well as processes. We offer decades of experience providing solutions across a variety of industries. We'll work to understand your needs and suggest the most suitable non-slip rubber sheet for your application. Interested in Non-Slip Rubber Sheets? Fill out the form below to request a free quote! Are You Using Non-Slip Rubber Sheets For Your Product Application?